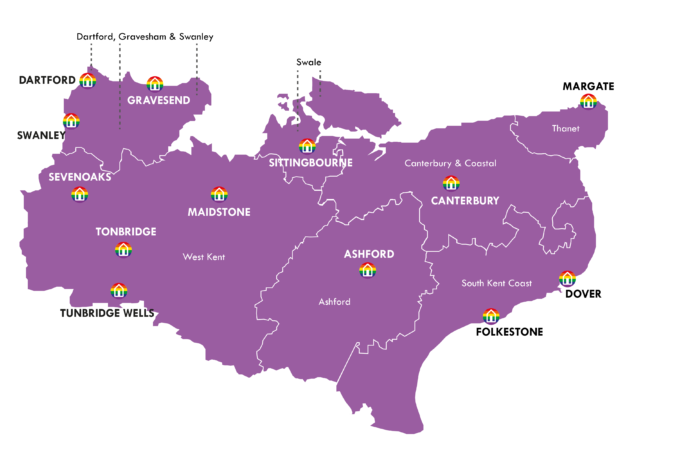 The BeYou Project connects young people in Kent who are lesbian, gay, bisexual, trans, non-binary or are questioning their sexual orientation and / or gender identity. We offer a safe, welcoming and non-judgemental space where young LGBT+ people can meet to socialise, have fun and help each other. Want to find out more? Contact our team by emailing beyou@porchlight.org.uk. Where can you access our groups? The BeYou project is funded by local NHS organisations and is run by Porchlight. Porchlight is a charity that helps people who have nowhere to go and no-one to turn to. Some are homeless, others are struggling to cope with the pressures in their lives and need our support to keep on track. Find out more about Porchlight on our website.